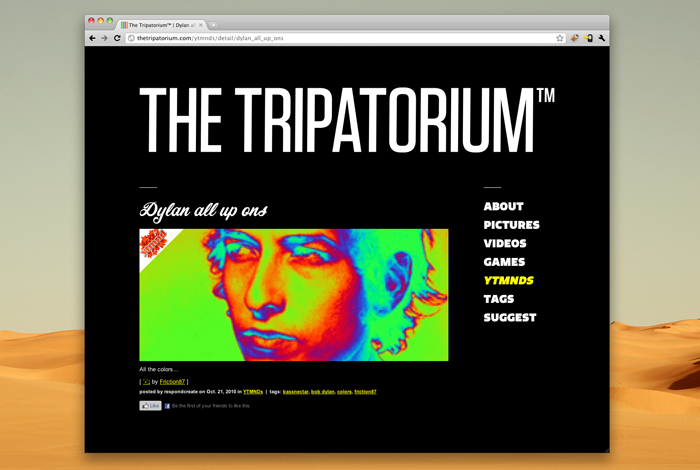 The Tripatorium™ is a blog that collects pictures, videos, games and YTMND’s that are trippy, strange and help liberate the mind from it’s ordinary restraints. The idea for the site had been germinating in my brain for a while and, with some time on my hands last week, I thought I’d take the time to finish the design and get it developed/coded. 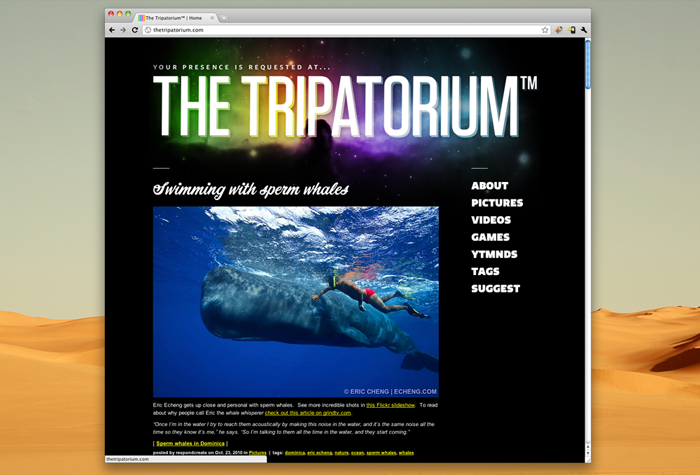 Expect frequent updates (I have two good friends, Matty & Sam, who agreed to help out by regularly adding content in addition to my own posts) and, if you think you’ve got something that would be perfect for The Tripatorium™, don’t hesitate to send us a link through the ‘Suggest’ page.